At Kelburn we are always amazed and delighted at how many people want to get involved, be creative and put on a show. We love the fact that so many of you are inspired to create something that makes Kelburn Garden Party an even more magical experience for everyone. Every year we get dozens of applications from people asking if they can come along and contribute to the event artistically in return for free tickets. As the festival is completely funded by ticket sales, we can’t afford to offer this option to everyone who applies even though we’d love to say yes to every offer. So we have launched the Kelburn Contributor Programme where successful applicants will receive a substantial rebate on their festival ticket in exchange for their creative input. 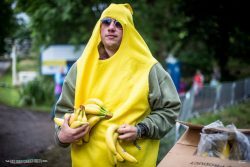 This way we can get as many of you engaged as possible, and make the Kelburn Garden Party an even more fun place to be for all involved. Please note that this only applies to the weird and wonderful; this is not for bands or DJs to apply. Simply buy your Kelburn Garden Party weekend ticket here. You should then complete the Application Form at the link below. Our programming team will assess your application, and if we think your plan or idea will suit the festival, we’ll be in touch soon. If you complete your activity during the Festival weekend, we will give each participant a £40 refund on their ticket around one week after the event.